My daughter Livia and her ASD. 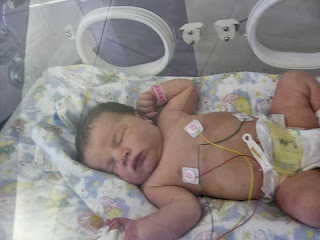 My daughter Livia is born on 26/03/2011 at 11 o clock at night. At 39 weeks I broke my water and went to the hospital. They decided to keep me there and if the contractions didn´t come naturally, then they would induce me the next day. That evening around 6 o clock I started to get contractions naturally. My friend called me to see if it was still ok to come on a visit. I said ´yeah ofcourse!! i just am in a little pain every now and then, but dont worry , it still can take hours!! ´. As soon as my friend stepped foot in the room I started to have heavy contractions.. Ow God I will never forget her face!! And Machteld, I am forever thankful you were there to support me!! Shayne was just home to get a shower and all when my contractions started. The nurse told me not to call him yet , because with the drugs they gave me , she says, I wouldn´t want him around me anyway. But as stubborn as I am, I decided to call him anyway as who was she to decide if I wanted him there or not! Afterwards, Thank God i was so stubborn, because at the very moment he came in , they wheeled me out to the delivery room for a very needed epidural as everything went so fast, to deliver my little babygirl only a short while later! The moment of birth itself was quite stressfull as the midwife told me I had to deliver her straight away because of problems with her heart rate. My little Budha ( 3900 gram) in the Incubator. When Livia was put on to my chest we noticed that she wanted to cry , but she couldn´t . She made the faces but not the sounds.. They took her away from me and after a very short while, they wheeled her out to the Neonatal Intensive Care Unit to do tests on her. The nurses and midwifes didn´t tell us anything and they kept us waiting for more then 2 hours before I was actually wheeled down to see her myself. It turned out that she was on the verge of Pneumonia but they caught it right on time. She also had high levels of some sort of whatever in the blood ( sorry I cant remember all those doctor terms) so she needed to stay. Eventually she stayed in the hospital for 6 days when we were allowed to take her home where she belonged! Livia always to find in a good mood!! Overtime she was a very happy normal baby. That all changed after about 18 months when I noticed she didn´t really meet her milestones and also was very detached ( no eye contact etc) and in her own little world. I kept this to myself as I didn´t want to stir things up. Maybe this was just a phase in her little life. But it wasn´t a phase and slowly but surely I got Shayne convinced it was more than that. 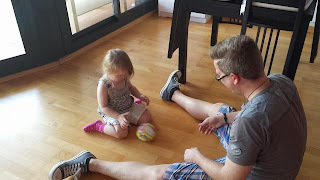 In this time we also moved to Spain and the girls went to daycare for the first time in their lives. 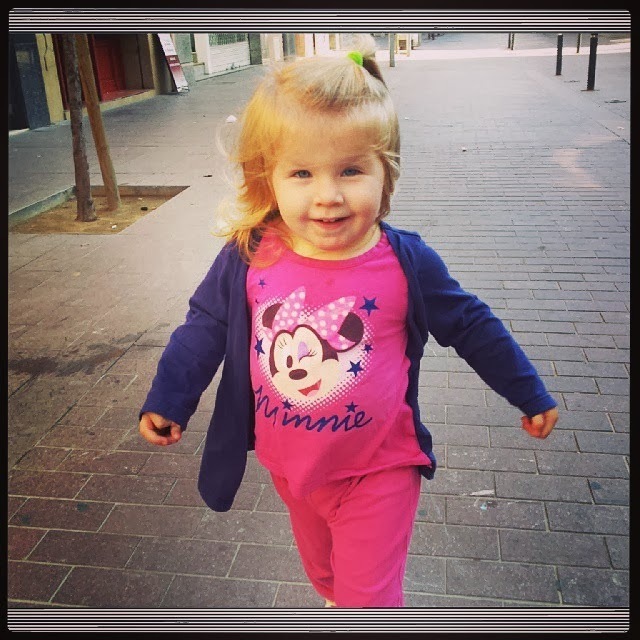 At daycare they confirmed my thoughts with saying that Livia needs to be checked out by a psychologist at the special children center here in Catalunya. So we had a couple of therapy sessions with Livia and there was the diagnosis: Livia had Autism. Diagnosed at 2 years of age. Autism (also commonly known as Autism Spectrum Disorder or simply ASD) is a neurological disorder that affects communication, motor skills, social interaction, behavior, and more. Neurological disorders are in relation to the nerves or the nervous system. But autism is also in relation to the brain. Autism can include intellectual challenge or mental retardation but studies have proven that many people with autism are not less intelligent, but rather they are unable to express themselves. Its defined as a complex developmental disability that typically appears during the first three years of life and is the result of a neurological disorder that affects the normal functioning of the brain, impacting development in the areas of social interaction and communication skills. The word "autism," which has been in use for about 100 years, comes from the Greek word "autos," meaning "self." The term describes conditions in which a person is removed from social interaction -- hence, an isolated self. Livia is by far the most happy and content girl I ever saw! I know maybe its mothers pride , but hey with a girl like that , Yes I am Damn proud!!! (tatata..dadada). She is mostly in her own little world walking rounds in the house and ´plays´. I put that into brackets as playing for her is not the playing we are used to from kids. 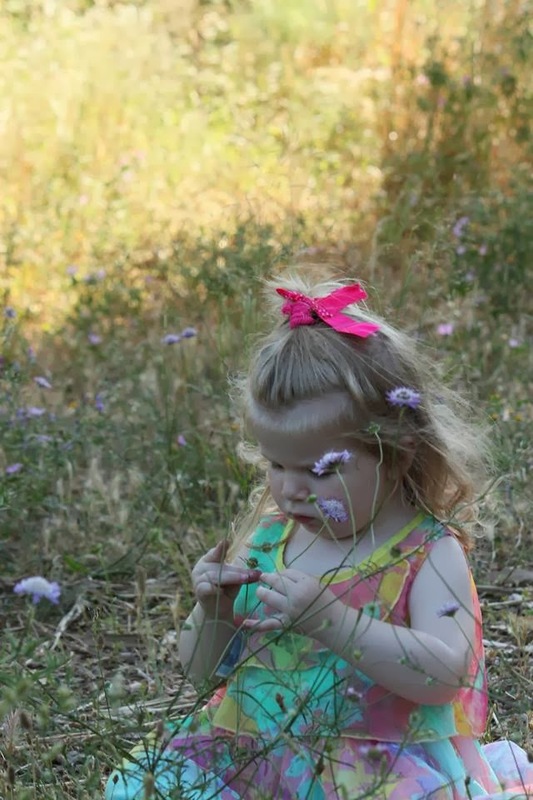 They call that Non-functional playing which means that Livia will not use her imagination to play and for example will turn the wheel of a play car round and round instead of driving it on the ground. She can sit ages in front of the washing machine, just watching the cycle and also loves to open and close cupboard doors till the end of time. She is very sensitive in her touches and food. She loves to feel everything and if she likes the feel of something, she can sit on the floor and rubs it between her fingers for a long time. This is the same with food. She didnt want to eat anything substancial till she was approximetaly 18 months old. She then started with some bread and now she eats only Bread, Pasta and Rice.. and if possible with lots of tomato sauce! I even was very happy when she took a liking to some sweets I gave her the other day, because that was the first time ever!! 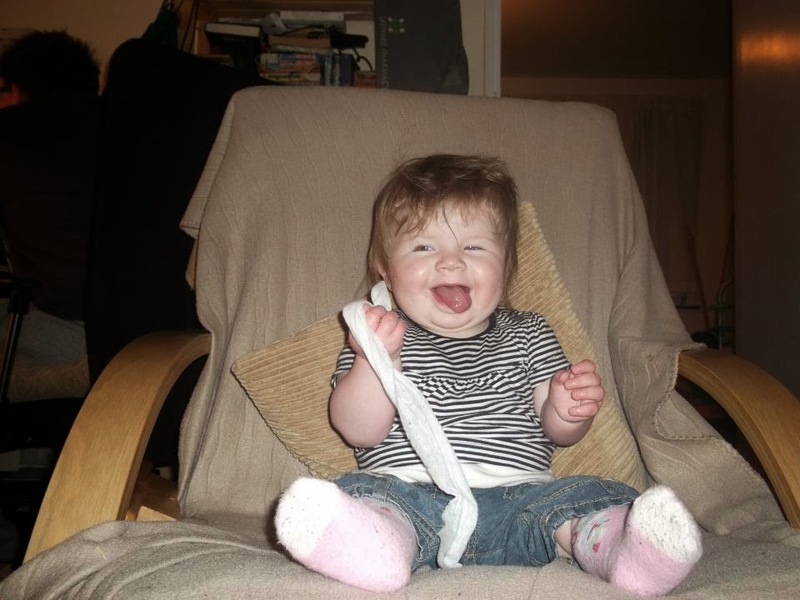 Livia is very independent and does basically just what she wants with a big smile on her face. If she wants something from us ( which is in 99.9% of the cases her bottle of milk) , she just drags us to the kitchen which by that point we know what we have to do..
Ofcourse I only can talk about myself and a bit about my husband regards this topic and how we experience the world of autism and especially the view of the outside world towards ourselves. However I will not talk about the feelings of my husband in this blog, as I want to respect his feelings and if he wants to out them to the world like I do, he will do that himself on his terms. Of course as a parent you are not prepared for a diagnose as ASD. For me I was fairly certain early on that there was something not right with Livia, but I ofcourse didnt know what it was. When we got the Diagnose it was a very double feeling of relief and sadness for me as I ofcourse didn´t want that there is something wrong with my little girl , but on the other side it proved that mother´s instinct is a real thing and now we actually can work with something. Sometimes just after a Diagnose i feel as a parent you are just a tiny bit relieved that it now has a name and you actually can go forward from there.. However With the Diagnose of Autism I felt in the beginning that way, but now it gets very daunting, especially regarding the reactions of the outside world. Because Autism is more diagnosed in this day and age , many people actually think its a made up something, especially because it is not something you can see on the outside. 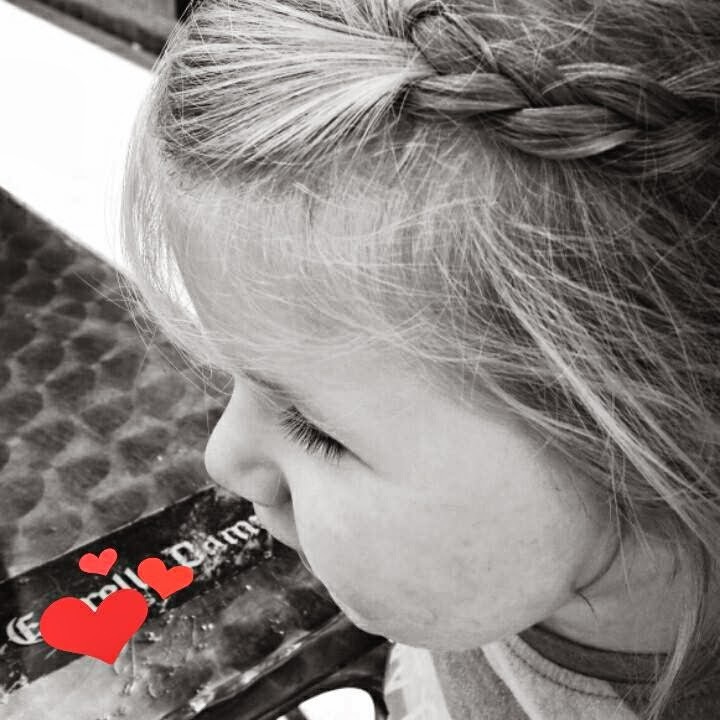 Comments like ´Its just a label you would like to put on your children when they are not behaving the way you want them to do..´ and ´when I was younger these diagnoses didnt exist , the children where just naughty.´ Or even ´maybe she will grow out of it ´. I heard this kind of reactions and other unthoughtful things and it makes me so sad and angry! I know I shouldn´t let it get to me, but hey you might not talking directly about my daughter, but actually you just judged my parenting and my daughter!! I really need to learn to build up a shield for such comments, but as I am a very emotional person myself, that is going to be hard work. I want to scream and shout sometimes, but it doesnt make a difference. Of course I dont know what the future has in store for Livia, but we work very hard to make it a positive one. We don´t dwell on the fact that she has Autism and go on with our normal daily lives. Playing with the ball with Papa, a huge progress!! For now she is in Therapy 2 times a week and has a lovely time 5 mornings a week in daycare. She has a lovely teacher/ carer who understands her Autism and does very well in meeting her needs. Even the kids in her class notice that Livia is a bit different than they are and are very gentle with her. This gives us a very safe and good feeling that she is in good hands. Also we have a lovely Aupair Lorena who takes a special liking to Livia and also Livia to her. I am getting more and more knowledged of how to communicate with her and what there is on the market to help her in her development , so soon I will get more in details and probably will go bit by bit into basic sign language. Also buying of sensory toys are on the top of my list. Next February we will review if she will stay an extra year in daycare or will go to primary school with extra help. I know this has been a very long blog, but I found it necesarry to write everything down , for my friends and family specially to get a bit of an inside of our daughter and her ASD. Hall Jany, als ik dit lees komen er heel veel herinneringen en herkenning naar boven. Mijn 2de dochter nu 35 was ook anders en ik werd neergezet als een overbezorgde moeder. Ons verhaal loopt niet synchroon met dat van jullie maar het heeft heel veel raakvlakken met het verhaal van Sharon. Wij werden gezien als slechte ouders en ook de opmerkingen die jij noemt heb ik allemaal naar mijn hoofd gekregen Sharon bonkte heel erg met haar hoofd tegen alles waar ze maar tegen kon bonken, zodat ze met 18 mnd werd opgenomen in het ziekenhuis bont en blauw en werden wij verdacht van kindermishandeling en we gaven haar niet voldoende te eten om dat ze ook erg klein was.ze had bij de geboorte een normale lengte en gewicht, maar met 1 jr 7 kilo en maar 64 cm. Er werden toen hersenfilmpjes gemaakt en daar was niets bijzonders op te vinden, dus de conclusie was simpel wij zaten fout. Dat heeft geduurd tot ze 4jr was , toen werd de diagnose autisme gesteld en net wat jij zegt wat waren we blij met dat etiketje. Alleen met wat er toen bekend was klopte de diagnose niet helemaal, Sharon maakte wel degelijk contact en andere kleine dingetjes klopten niet. Helaas kon Sharon niet thuis blijven wonen ik had nog 2 kinderen en het was te zwaar. Ze is toen in een kinderhuis geweest gericht op autisme en weer gewoon thuis kunnen wonen, daar kregen we te horen dat we het niet zo zwaar moesten zien het was een kind met potentie, maar tussen de andere kinderen viel ons steeds meer op dat er iets anders moest zijn. Het kinderhuis moest op een gegeven moment gesloten worden, en ach het waren maar autisten die door de ouders niet gewenst waren, dus konden ze wel naar een justitionele jeugdinstelling, ze was toen 8 jaar en dat wilden we absoluut niet, dus kwam Sharon weer thuis wonen het was een ramp ze heeft 6mnd thuis gewoond en ik was 20 kilo afgevallen en de andere kinderen kregen veel te weinig aandacht die waren toen 10 en 5. We zijn opnieuw hulp gaan zoeken en Sharon ging toen tijdelijk naar een medisch kinderdagverblijf, daar viel het kwartje echt voor mij, ze zat in een groepje met leeftijdgenootjes die allemaal naar het speciaal onderwijs zouden gaan, maar ik zag toen pas echt hoe ver ze achter was. Toen is opgenomen in een instelling voor verstandelijk gehandicapten waar ze nu nog woont. Ze kan niet praten en is voor alles afhankelijk van hulp. In 1999 werd in de U.S.A. het Rett syndroom ontdekt in DNA haar behandelend neuroloog vermoedde dat al eerder bij Sharon maar kon geen bewijs vinden, maar door dat DNA werd het bewijs gevonden ze heeft dus het Rett syndroom, zij had een voordeel boven andere meisjes die dit hebben ze kon lopen. Sharon is zwaar verstandelijkgehandicapt en heeft het niveau van een kindje van 13 mnd sinds een jaar kan ze niet meer lopen en gaat langzaam verder achteruit, we weten niet wanneer en hoe lang het nog gaat duren voor we afscheid moeten nemen maar we weten dat het steeds dichterbij komt. Als vragen hebt mag je ze altijd stellen en zoals je misschien begrijpt kan ik een hoop van je frustraties begrijpen. Ik wens jullie heel veel sterkte en een gelukkige toekomst met jullie kleine engel. Je weet mijn gedachten al. Livia heeft een speciaal plekje in mijn hart net als Sofia. Geen een label zal dat veranderen. Ik heb net een commentaar zitten schrijven en steeds verdwijnt het weer, dus ik hoop dat je dit nu wel ontvangt. Ik ben trots op je en blij dat je dit geschreven hebt. Het zal ook voor jezelf een stuk opluchting geven denk ik, en hoop ik. Dat mensen nu eens minder kortzichtig mogen reageren op Livia's autisme en in mogen zien dat het niet zomaar over gaat maar dat dit iets is wat altijd zal blijven. Ik hou van dat kleine engeltje en ook van Sofia de little rascal. Het zijn beiden hele verschillende kinderen, maar één ding hebben ze wel gemeen. Geweldige ouders die er altijd voor hun kinderen zullen zijn.